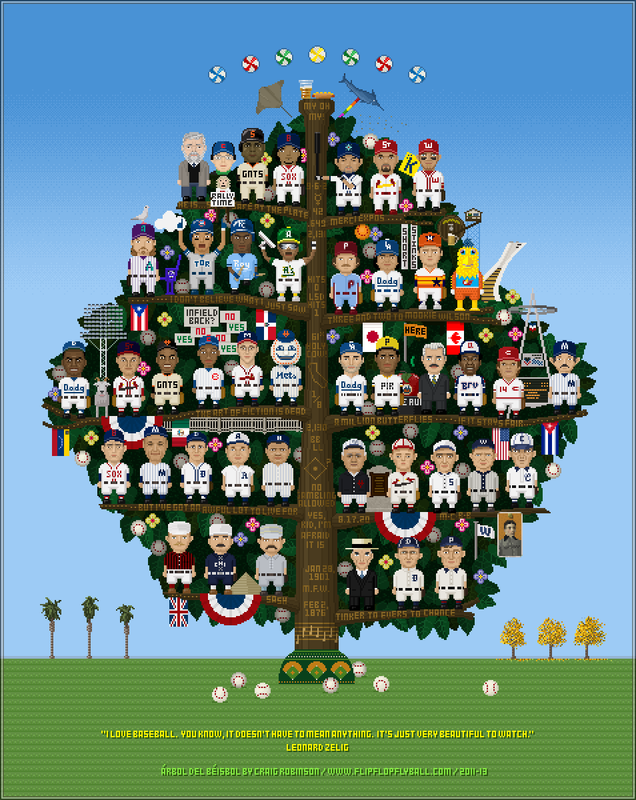 The picture from Craig Robinson at FlipFlipFlyball covers the history of baseball and it's positively epic and glorious and ridiculously detailed in a 16 bit kinda way. Craig annotates the whole thing over at Deadspin. God Bless the Internet. Consider the rest of your day occupied.